New Zealand is one of the first countries in the world to celebrate the new year. It is also one of the best places to spend New Year's Eve because it is in the middle of summer and almost everyone is on their holiday. As New Year is a smack in the middle of the summer holiday season, there are plenty of fireworks, awesome parties, events and cool celebrations not to be missed. Here is VroomVroomVroom's list of the 10 best locations to spend New Year's Eve in New Zealand. 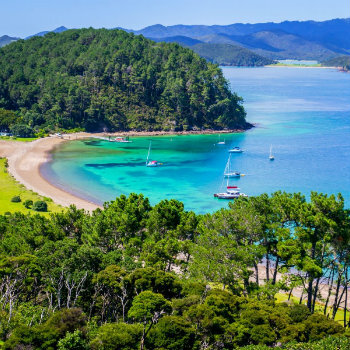 Located in Northland, which is in the North Island, The Bay of Islands are ideal for families to celebrate the New Year. There are many great resorts, holiday parks and bars where you can welcome the new year with live music. Paihia is full of restaurants and bars where you can sample a great meal and drinks before the fireworks. The New Year's Eve Fireworks in the Bay (Paihia Beach) is a must-see display of pyrotechnics. Where to stay? 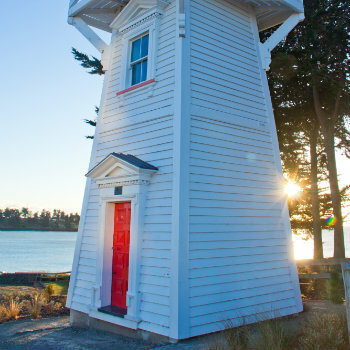 There are many accommodation options in the Bay of Islands. Popular places to stay include Paihia and Russell. You'll find a selection of affordable boutique and luxurious choices here as well as lodges, hotels, motels, backpacker hostels and many apartment options. Getting there: Book your car rental in Kerikeri, which is only a 20-minute drive from Paihia. 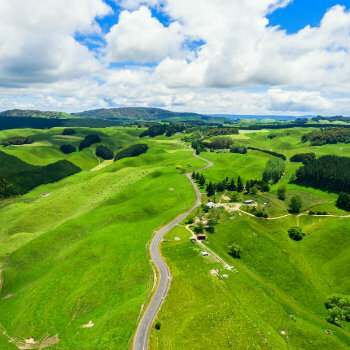 If you're coming from Auckland, drive in your rental car and take Highway 1 North 3 hours to Whangarei then continue on Highway 1 to Kawakawa. Make a left turn on Highway 1 and keep straight into Highway 11 to Opua, Russell, Paihia and Waitangi to get to Kerikeri. Go to the world-renowned Stonyridge Vineyard's New Year's Eve Party to dance under the stars. This is also a great opportunity to watch a heart-stopping New Year's Eve fireworks display to ignite and welcome the new year. 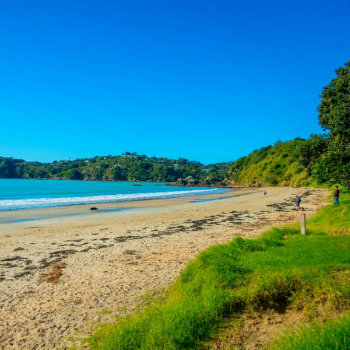 Waiheke Island has wonderful tourist attractions, beautiful beaches, restaurants with excellent cuisine and great wine. Many wineries also host a special dinner and events on New Year's Eve. Where to stay? There are many holiday homes and accommodation to suit couples, families and groups in Waiheke Island. Getting there: By car, it will take you about 2 hours to reach the Waiheke Island from Auckland via Waiheke Island-Half Moon Bay. 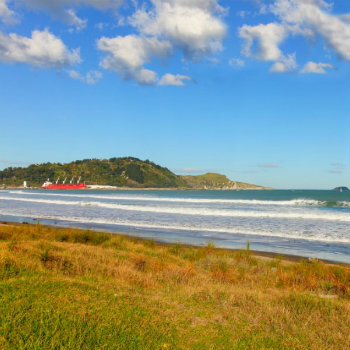 Mount Maunganui and Whangamata are popular destinations for New Year's celebrations. They are known as party spots that mainly attract a young audience. Not to be missed is the festival's pre-party at The Mount which features some of the best acts joining the party. Camping is available, and the venue is close to some of the best beaches in the island. Where to stay? There is quite a lot of accommodation in Mount Maunganui and Whangamata. There is something for everyone's budgets and needs. Getting there: Driving time from Mount Maunganui to Whangamata takes about one hour and a half via SH 2 and New Zealand State Highway 25/State Highway 25. Timaru is another favourite New Year's destination. Attend the 13-day Caroline Bay Carnival for a full lineup of great activities and family entertainment. The amazing midnight Pub Charity New Year's Eve fireworks display is not to be missed. Where to stay? From bed and breakfasts to hotels, there are plenty of accommodations to choose from in Timaru. Getting there: If you are coming from South Island, head northeast on Armour Road toward Puketoi-Highfield Road and then continue onto State Highway 85. Turn left onto SH 1 (signs for Route 1/Oamaru/Timaru) and continue until you reach Timaru. Attracting 10,00 party-goers, welcome the new year at the South Island's premier and largest music festival! Just 40 minutes from Queenstown, the annual Rhythm and Alps takes place at the scenic Cardrona Valley. The city also offers free New Year's Eve celebrations. Cruise Lake Wakatipu on the vintage steamship TSS Earnslaw. Return before midnight to Steamer Wharf for a spectacular fireworks display, live music with Lakefront views among locals and tourists. 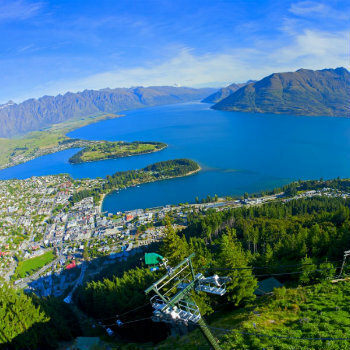 Queenstown provides a range of accommodation options for every style and budget. You'll discover plenty of hotels & resorts, motels, bed & breakfasts, lodges and retreats, backpacker hostels and serviced apartments. Popular places to stay include The Arrow Private Hotel, B&B on the Hill, Four Seasons Motel, The Spire Hotel and Eichardt's Private Hotel. Getting there: Take the Puketoi-Highfield Road, Wedderburn-Gimmerburn Rosd and Highfield-Wedderburn Road and continue on State Highway 85 if you are coming from South Island. Take State Highway 8 and State Highway 6 to Ballarat St until you reach Queenstown. Driving time is two and a half hours. Gisborne is the only place in the world to witness the first sunrise of the New Year! Additionally, you can attend the award-winning Rhythm & Vines festival to celebrate the new year with your friends or loved ones. Where to stay? Offering a wide range of accommodation options to suit your budget, you'll find plenty of hotels & resorts, motels, bed & breakfasts, lodges and retreats, backpacker hostels and serviced apartments. Recommended places to stay in here include the Pacific Harbour Motor Inn, Motel Oasis, White Heron Motor Lodge, Emerald Hotel, Village Boutique Apartments and Bella Vista Gisborne. Getting there: Driving from North Island to Gisborne takes about six hours via Thermal Explorer Hwy and SH 2. Take SH 47 to State Highway 1 in Turangi and take on Thermal Explorer Hwy and SH 2 to State Highway 35 in Hexton. Continue on State Highway 35 and drive to Childers Road in Gisborne. Taupo is a family-friendly destination for an unforgettable New Year's celebration. The events are free with a carnival atmosphere and Latin dance music. You will welcome in the New Year with fireworks on the lakefront. Where to stay? Accommodation in Taupo ranges from great hotels, luxury lodges, and lakeside baches to appealing motels. 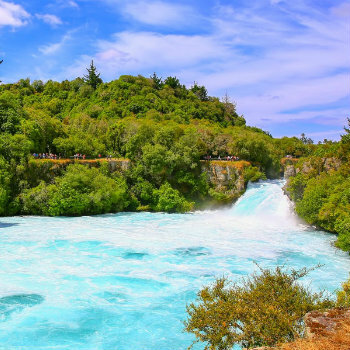 Recommended places to stay in Taupo include the Hilton Lake Taupo, Oasis Beach Resort, Quest Taupo Serviced Apartments, Taupo DeBretts Spa Resort and Acapulco Motor Inn. Getting there: Driving from North Island to Taupo takes about an hour and a half via SH 47 and State Highway 1 with a reliable car rental. Relax and get entertained with friends and family at the Rotorua GLO Festival. Enjoy great music and awesome food with a spectacular fireworks display at midnight on the Lakefront and Rotorua Village Green. Where to stay? Accommodation in Rotorua ranges from great hotels, luxury lodges, and lakeside baches to appealing motels. Recommended places to stay in Rotorua are Jet Park Hotel, Springwaters Lodge, B&B Blossom Cottage, City Lights Boutique Lodge and VR Rotorua Lake Resort. Getting there: If you are coming from North Island, the fast route to take is SH 47 to State Highway 1 in Turangi. Just follow State Highway 1andtoDevon St, and takeRanolf SttoPukuatua St . Driving time is about 2 hours and 31 minutes. Many young spectators gather in Wanaka's main street to dance, stroll around the stalls and celebrate New Year's Eve with a fireworks display at midnight. Popular Wanaka New Year's celebrations include the annual Rhythm & Alps and iHeart Radio Top Paddock Festival. Where to stay? From luxury hotels and lodges, lakeside apartments to cheap backpackers and motels, there are plenty of accommodations to choose from in Wanaka. 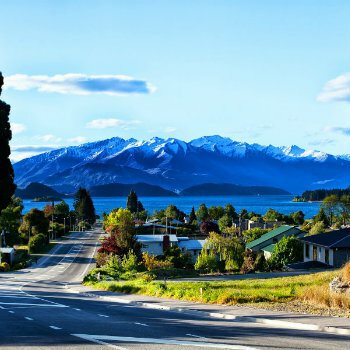 Popular places to stay include the Wanaka View Holiday Houses, Distinction Wanaka, The Rees Hotel, Oaks Club Resort and Copthorne Hotel & Apartments Queenstown Lakeview. Getting there: Renting a car in Queenstown Airport is easy with our trusted car rental partners like Europcar, Thrifty, Budget, Hertz and Avis.The fastest route to take is via Crown Range Road and Cardrona Valley Road, which only takes an hour if you are driving from Queenstown Airport to Wanaka. If you want to avoid the crowds, then Oban on Stewart Island is the perfect place to celebrate New Year's Eve for a slow and easy celebration. 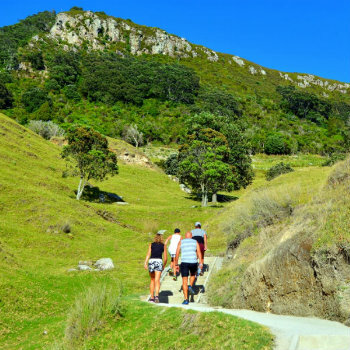 Meet locals, do some hiking or kiwi spotting to welcome in the new year. Where to stay? From bed and breakfasts to hotels, there are plenty of accommodations to choose from on Stewart Island, you will find a wide range of accommodation to suit your style. Recommended places to stay include the homely Observation Rock Lodge, Kaka Retreat Hotel and Stewart Island Lodge. 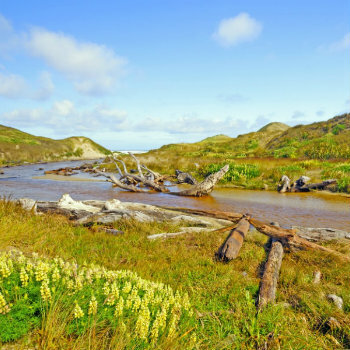 Getting there: There are direct flights into Invercargill from Wellington and Christchurch, and connecting flights from Auckland to get to Stewart Island. Please be aware that transport options to Stewart Island are either by ferry (which takes about one hour) or by flight (approximately 15-20 minutes).